Ugandans have voted. Results are coming in slowly. An as expected/unexpected, the incumbent, Yoweri Kaguta Museveni is already commanding a huge leader over his closest rival, Dr. Kizza Besigye. 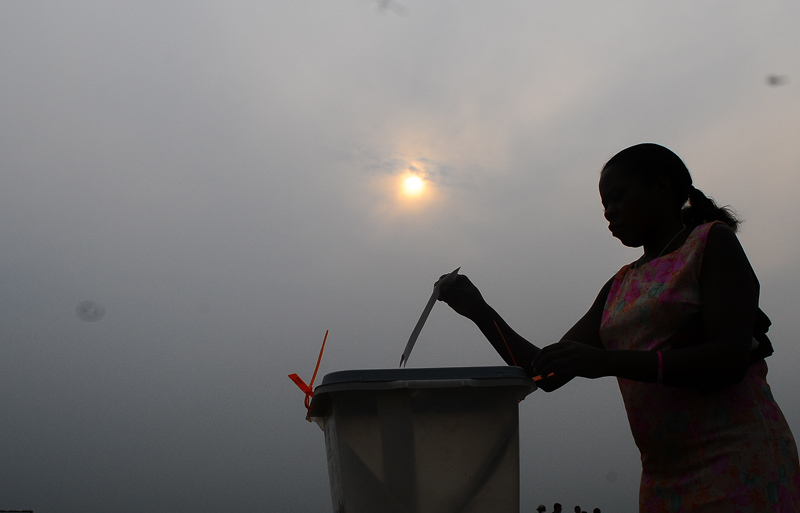 Reports of voting rigging, bribery, deaths as a result of clashes with Police keep coming. Most shocking though is the exit of many ministers. Opposition has also been dealt a heavy blow by the loss of “former” opposition leader, Ogenga Latigo. He lost to an NRM candidate. Salam Musumba bounces back to parliament as her husband Isaac Musumba, a minister loses his seat. 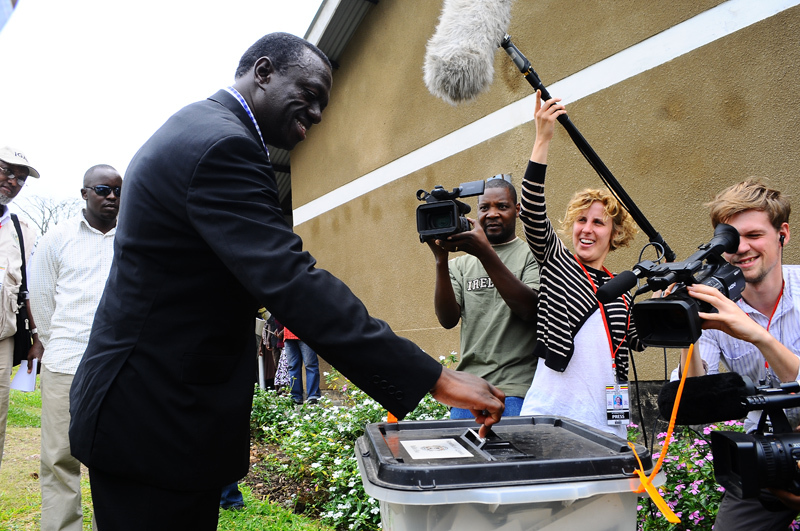 Kizza Besigye Votes in his home town of Rukungiri on 18/2/2011. He's so far trailing the incumbent, Yoweri Kaguta Museveni. Like I said, results keep coming in. I might not be able to have regular updates here but you can follow me on twitter. My twitter name is echwaluedward.